Review:- I jumped at the chance to review the lovely Zhu-Zhu Lavender Body wrap, not only does it look and smell great but it is so comforting and snugly. As many of you know I have kidney problems and when it is really bad I tend to put a hot water bottle on my side to help ease the pain. This is a little too warm and makes me feel uncomfortable. The Zhu-Zhu Lavender body wrap is perfect. Two minutes in the microwave and it’s ready. Not too hot, just the perfect temperature. The shape of the wrap is fantastic, I can drape it over my side and it stays in place. A lot better than your hot water bottle which rests against you and if you move falls off. The shape is great for draping over any part of your body. The wrap is great for easing muscle pain, I used it around my neck for a headache and between the warmth and scent it was very soothing and relaxing. Period pain is another pain this wrap is perfect for, whether it’s stomach cramps of backache, this will mould to your shape. 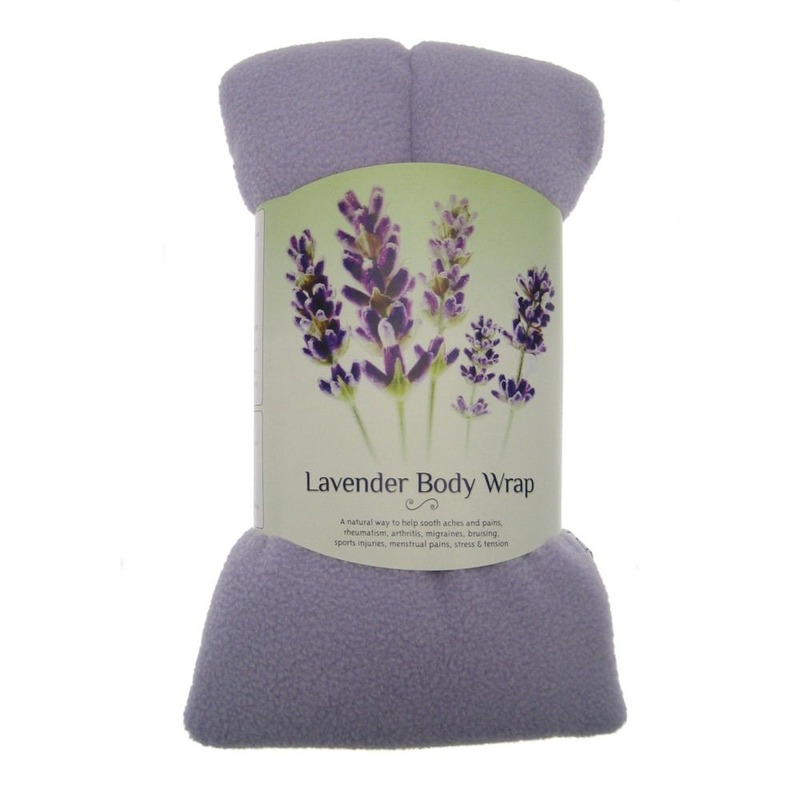 The Zhu-Zhu Lavender Body Wrap is made of lovely soft, fluffy material on the outside and natural wheat on the inside. If the lavender scent fades you can top it up with a couple of drops of Lavender oil. If heat isn’t your thing on aches and pains, you can put the bag in the fridge for some cooling action. These are a great and safer alternative to a hot water bottle. I would recommend these to anyone with aches and pains or just to keep in case of any bumps. At £6.99, I think it’s a bargain. You can purchase one here. Disclaimer:- I was sent this Body Wrap in exchange for the honest review I have given.